The Chapel of the Holy Trinity was originally founded as a private castle chapel. The construction must have been carried out sometime in the 1550's – the exact date is not known, only that in 1557 Jan Kába buried five of his relatives here. During the Thirty Years War the chapel either dilapidated or was pillaged. The certain thing is that the new post-White Mountain owner Antonio Bruccio renewed it from the ruins. In 1635 the chapel was newly consecrated and gained the status of filial chapel. Since that time, regular Sunday and Holiday services were held here until the Josefinian reforms of the late 18th century. 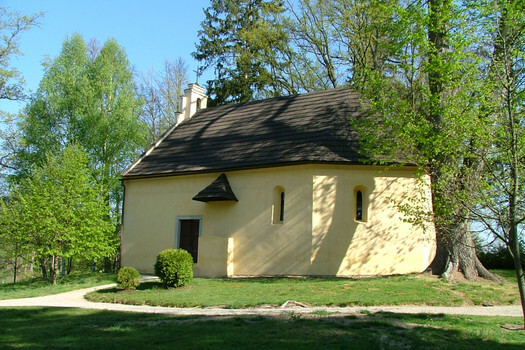 A record from 1759 documents the efforts of the owner Franz de Paul of Guden to maintain regular services here by endowing the Deštná chaplain an annual fund of 100 gold pieces. The new owner Ignác Stillfried refused to pay this sum and limited the fund to a natural supply of fuel wood. The parish priest Matěj Polák, evidently in an effort to ease his responsibilites, refused to perform the mass in the chapel with the reasoning that the reforms abolished home chapels for the aristocracy. A conflict arose which was finally settled with the church's intervention in 1814. All services in the chapel were dissolved excepting pilgrimage holy masses on the day of the Holy Trinity. 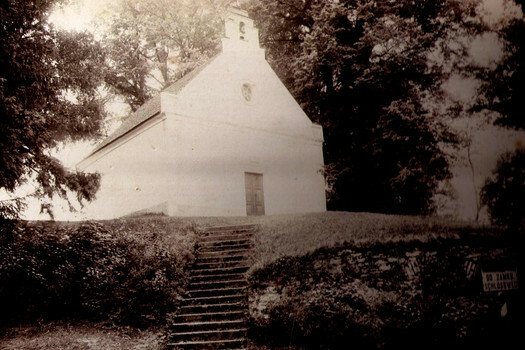 It was due to the efforts of Johann Schönburg-Hartenstein and priest Bedřich Kamarýt that the chapel was revived again at the beginning of the 20th century. 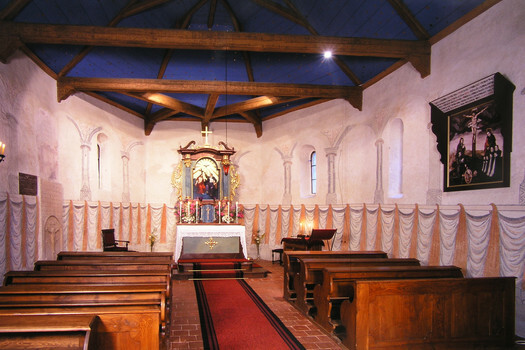 In 1907 it received the status of filial chapel again and regular masses were renewed. 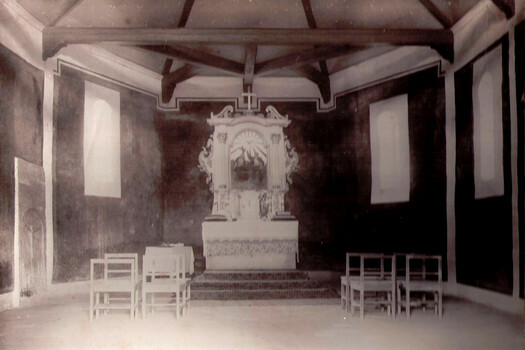 In 1937 Prince Johann was buried in the newly-built family tomb built onto the northern side of the chapel. Sacred activities were conducted regularly until the departure of the aristocracy in 1945. The remainder of the 20th century saw only the annual pilgrimage services on the day of the Holy Trinity and a few wedding ceremonies. 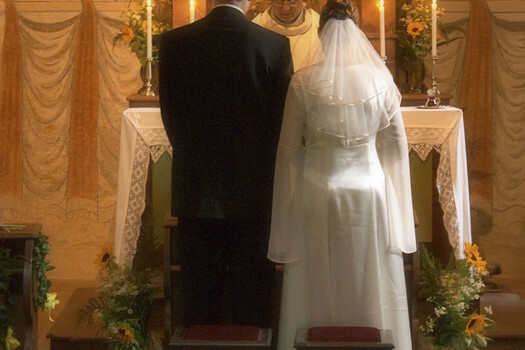 At present, the chapel is functional again and aside from regular mass is the site of sought-after church wedding ceremonies.